HELENA — State Sen. Dave Wanzenried, D-Missoula, said Thursday that he is ending his campaign for governor in 2012 because his fundraising efforts fell far short of his goal. Wanzenried became the first major candidate from either political party to drop out of the race for an open seat for governor. Before filing the paperwork to start raising money last November, Wanzenried said he'd set an ambitious goal to have $150,000 in the bank by June 30 to run "the type of campaign Montanans expect and deserve." However, he wound up with less than $19,000 in the bank on June 30. "I simply have not attracted enough investors to wage a viable statewide campaign," Wanzenried said. He said he will return the money to donors on a prorated basis after deducting expenses, as is required by law. His withdrawal leaves only one announced Democrat in the governor's race, state Sen. Larry Jent of Bozeman, who had only $2,200 in the bank as of June 30. Attorney General Steve Bullock, who's been urged by many Democrats to run for governor, is expected to announce after Labor Day whether he'll jump into the governor's race or seek re-election. Wanzenried attributed his failure to raise sufficient funds to several factors. "I think it's probably a function of tough times," he said in an interview. "A lot of people that had contributed before aren't working (now), aren't working full time or have lost benefits." In addition, Wanzenried said a number of people held back on contributing or giving their support, saying they wanted to see what "the entire field looks like," a reference to the uncertainty over Bullock's plans. Wanzenried said he has encouraged Bullock, a longtime friend, to run for governor and backs the fellow Democrat's candidacy. "He has the skills to lead our state, preserve our budget surplus and create jobs," Wanzenried said. "Dave Wanzenried is a giant in Montana politics and government — when he offers advice, you listen." Bullock said. "I value his counsel and appreciate his friendship." Wanzenried said he believed he'd have an advantage by entering the governor's race early, but that proved not to be the case. Being from Missoula probably had some bearing in people's reluctance to support his candidacy, Wanzenried said. Some political scientists have said that being from Missoula, Montana's liberal epicenter, has been a disadvantage for Democrats candidates seeking the top statewide offices in recent decades. "From time to time, my being from Missoula came up," he said. "I pointed out to all the people that brought it up that I've also been a legislator from Kalispell for two terms and I worked for state government in Helena for 12 years." He was Gov. 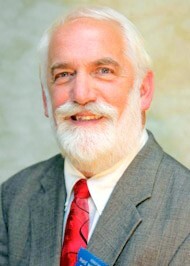 Ted Schwinden's chief of staff in the early 1980s and was a department director under Schwinden and his predecessor, Gov. Thomas L. Judge. Wanzenried said his background as a legislator for eight sessions "definitely" was a disadvantage in trying to muster support, despite the experience knowledge of the issues he had gained. "People would say I liked everything you did except that vote in 2003," he said. "It cut both ways." Wanzenried, 62, said he will now focus on the remaining 3-1/2 years of his final term representing people in his state Senate district. He said he will continue to back ideas that create well-paying jobs with benefits for Montana workers, insist that the state provide adequate funding for education at all levels, ensure that Montanans have access to affordable health care and protect Montana's clean air and water. In addition, he said he will help state Sen. Kim Gillan, D-Billings, in her effort to win the Democratic nomination for the state's lone congressional seat. The retired transportation and marketing and sales executive said he is starting to do some work on economic development.